The Hamilton Linen Tower from Avanity stands tall as a stylish piece of furniture rooted in Americana design. Featuring a sophisticated French white finish, it provides ample storage for bath items with two open shelves, a soft-close drawer and lower door. A perfect complement to any Hamilton vanity or as a standalone item, it fits easily in a variety of bathroom styles with its slim, space-saving profile. The Avanity Madison Linen Tower in Tobacco combines function with style, offering ample storage capacity in a sleek, simple look. Designed with strong lines and finished in tobacco with old bronze hardware, the tower is constructed of solid birch wood and veneer for durable, lasting beauty. Multiple shelves and drawers accommodate all your storage needs, while soft-close door hinges and drawer glides ensure safe, smooth operation. Reminiscent of a Swiss Grandfather clock and crafted with the same meticulous attention to detail, this Linen tower cabinet is an exquisite complement to a bathroom vanity. The clear glass of the upper door allows for subtle interior colours to show through creating a delightful tempering effect. Dimension: 18WX16.3DX65H* Birch* cream white * Antique brass finish hardware* No Assembly Required Faucet and mirror not included. Professional installation recommended. 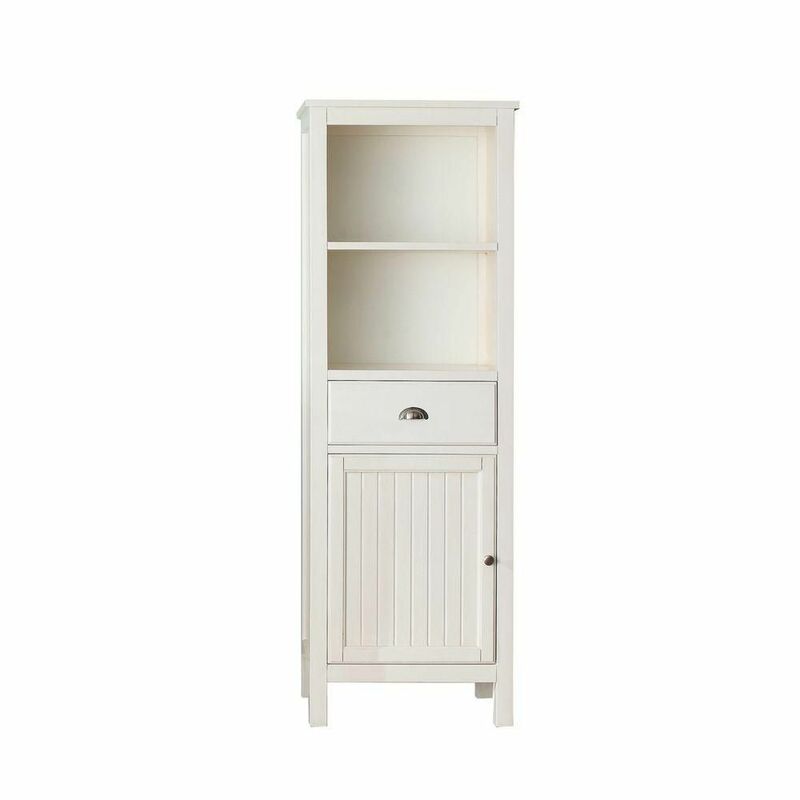 Hamilton 22-inch W x 65-inch H x 14-1/2-inch D Bathroom Linen Storage Tower Cabinet in French White The Hamilton Linen Tower from Avanity stands tall as a stylish piece of furniture rooted in Americana design. Featuring a sophisticated French white finish, it provides ample storage for bath items with two open shelves, a soft-close drawer and lower door. A perfect complement to any Hamilton vanity or as a standalone item, it fits easily in a variety of bathroom styles with its slim, space-saving profile.